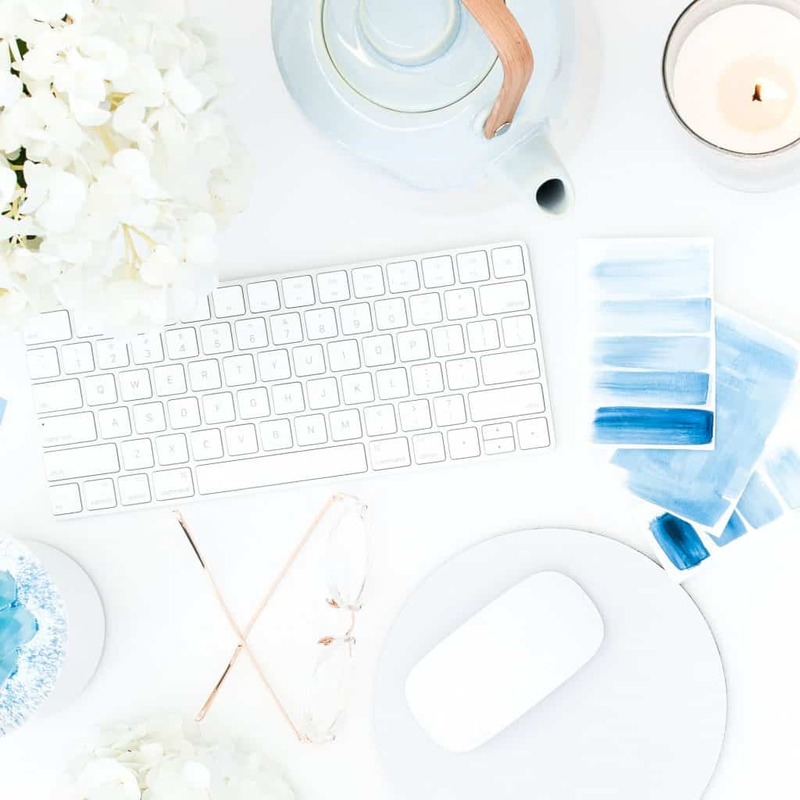 Bloggers will generally agree creating a blog post that is high quality isn’t always an easy job. There are several things you need to do to achieve success in blogging. You have to create content, edit the blog posts, then market them in order to optimize them, as well as a host of other tasks. But it isn’t as hard as you may think. 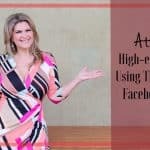 If you are really serious about creating posts that people and search engines will love, this was written especially for you. 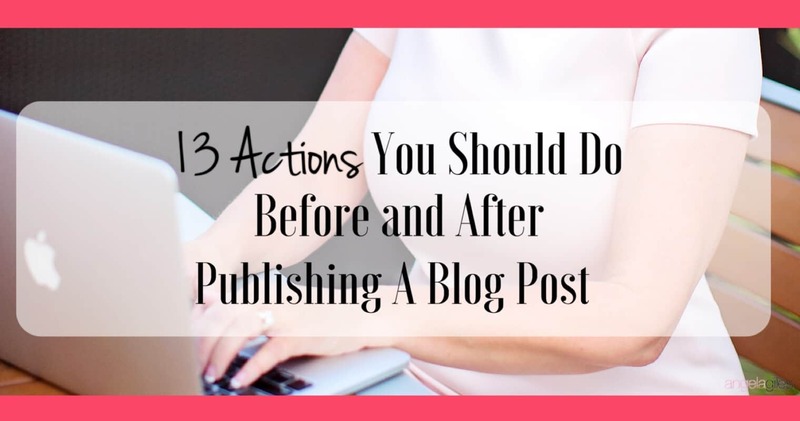 I will be sharing with you 13 action steps you should take before and after hitting the publish button for all of your blog posts. There is nothing scary about them, and they are steps that don’t require much time to implement. Remember that when you write a post that requires too much reading, it will not be read. As a bonus, I have included a printable checklist you can download that will serve as a reference resource. If you are ready – let’s roll! 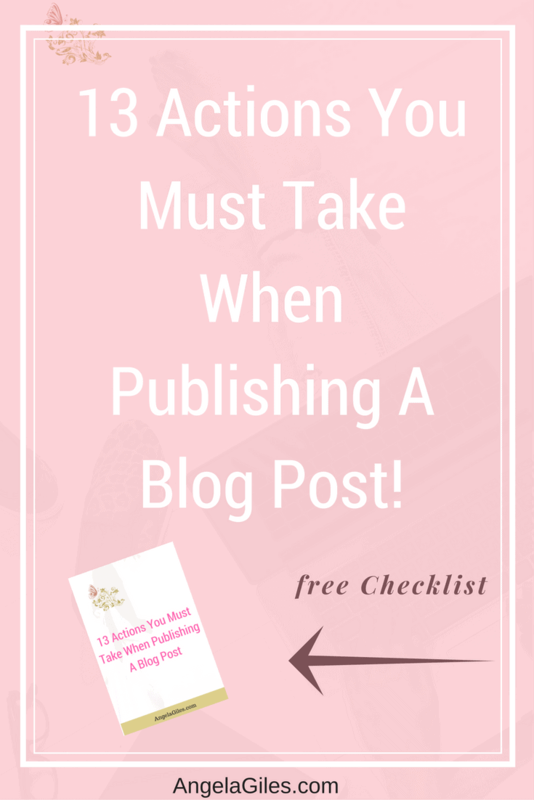 Psst…want my “13 Action Blog Post Checklist”? It’s a free download you can get by clicking the button below. It’s the perfect checklist to print out and keep close by whenever you begin writing a new post. Your title must contain keywords or phrases, and must be persuasive enough to attract visitors. Believe it or not, your title is more important than the content of your post. People won’t be willing to click and read your post if the title isn’t as compelling as possible. Creating compelling and attractive titles ensures that people click to read your posts. If the title is boring, they won’t click. Adding relevant keywords ensures that search engines crawl your post. It is important to your “SEO” to add relevant keywords. 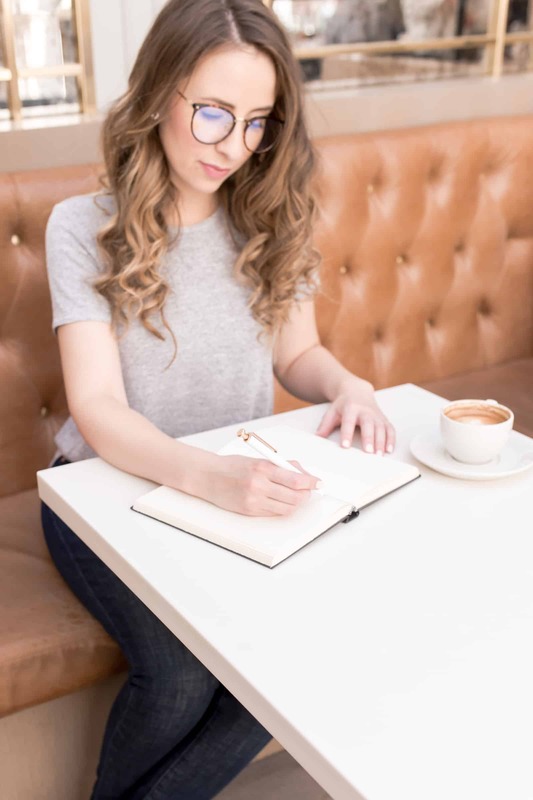 The second title is more optimized because it targets newbies (there are millions of new bloggers), and it also contains keywords like “tips” and “grow your blog.” Any new blogger that performs a Google query will very likely type those type of words. How easy do you find it reading a blog post with large chunks of text? Out of the question. Writing lengthy blog posts with no headings is the fastest way to drive away readers. You have to break them up, with each paragraph containing 5 to 6 lines. Most readers will first scan your post to see if it fits them. Only then will they decide whether or not to read your post. Posting without headlines makes it difficult for people to scan. What I really enjoy about blogging is watching how readers react after I publish a post. I like it when people send in their contributions and questions. People sometimes need a “call to action” before they will do a single thing. They really want to leave a comment, but perhaps they are too lazy, or perhaps they just don’t want to the be first one to comment. So you need to do something to help get them started. There are a couple of reasons for doing this. You want your readers to stay longer when they visit your blog. To help achieve this, each new post should have a link back to a “relevant” post you have published in the past. This also helps enlighten your readers even more. Featured images play an important role for your blog and can be used in different ways. Readers can click on them to pull out posts you have published previously. If you run your blog on Bloglovin, your post will appear alongside its featured image. Vertical images with some block of text tend to catch the attention of people when scrolling through Bloglovin. This is why it is important you include a vertical image containing some text, which will serve as your post’s featured image if you want to attract high traffic. As people scroll down their Bloglovin feed, your posts will keep popping at them (provided they contains a featured image). Yes, this is a lot to remember. Which is exactly why I created the 13 Action Blog Post Checklist. Click the Resource Library image below to download it, so that you won’t forget any of the steps in this awesome post! 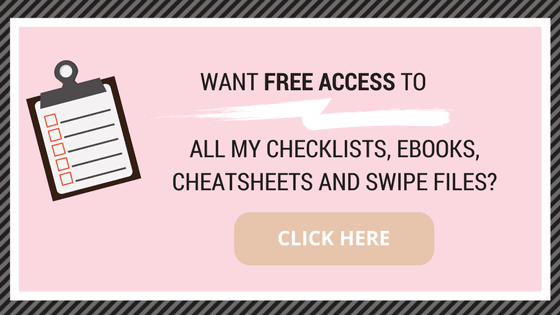 Get access to “Checklist: 13 Actions You Must Do For Each Blog Post” by joining our Free Resource Library, just click below! The images you add have to be “on-brand.” In simple terms, the images have to fit your audience, theme and personality. Create a template of images that contain colors and fonts consistent with your overall design. Doing this ensures there is consistency in all of your blog posts. You also need to optimize your images, just like your post title, so that means including keywords in the image description as well. You are better off using an image titled “iPhone Screenshot 3.jpg” than something unrelated like “IMG_201610.jpg.” Also be sure to include “alt text” in your images. Wondering why? When someone decides to pin an image from your website, it is the alt text that will be displayed as the description. Descriptions are powerful tools in Pinterest. They become even more powerful when they contain keywords and a call-to-action. Let me show you an example. If your blog runs on WordPress, then adding alt text shouldn’t be difficult. Alt text can also be helpful to (and appreciated by) your readers that may be vision impaired and use screen readers. Their reader will read that description of your images. Remember, you aren’t writing for yourself. You want to write something people will like to read. This is why SEO is a must. If your blog runs on WordPress, I suggest you download and install Yoast SEO plugin as it makes life easier for you. If I had my way, I would scream “Proofreeeeeead” into your ears. This may be particularly difficult if you are the impulsive type. But, you can not afford to skip proofreading your post before hitting the publish button. One good technique to use is to divide your work before editing. When I write, I break my post into two halves. I will then proofread and edit the first half. I try to read it the same way an online visitor would. I do this as much as 3 times before hitting the publish button. Many professional proofreaders also suggest reading what you have written backwards at least once. I know this sounds strange, but sometimes our brains fill things in or adapt to make us see what we are expecting rather than what is really there, so reading backwards makes it easier to spot typos and grammatical errors. If you have attached an “alt text” to your image, it means your description is set. The next thing you will need to do is to pin the image contained in your post to Pinterest. Piece of cake! Create a Pinterest board exclusive to your blog, which will only share pins coming from the posts you have published. After pinning your post’s image onto that board, wait a few days before pinning it onto other boards you feel are relevant by using different pins you have gotten from your blog and other resources. This ensures your pins go around considering that different audiences follow different boards. Try to get them pinned to Pinterest group boards with high relevance. If you are active in any group board, it is necessary for you to share your pins on those boards. You have two options here: do it manually or schedule them using a scheduling program. Repin your blog post onto Pinterest once every 1 to 2 months. Expert bloggers call this “Looping.” It’s just a simple exercise that requires you to repin your old pins. It is important to have your post image repined onto Pinterest at least every other month. One major problem with Pinterest is that after you have pinned your image, readers won’t see your post anymore. They will have to wait until some other person repins it back. That’s a lot of traffic lost. Looping is the simplest solution for this sort of problem. It works by getting your content into constant rotation. If you have successfully implemented these steps, your blog post image should be on five different boards. This increases the chances of your image being seen by your targeted audience, even if they have previously missed your first pin. You have absolutely nothing to be worried about when using scheduling programs – your audience can only see one pin of yours at a time. If you have two similar pins, Pinterest will filter one out, making just one visible. Periscope has become very popular. If you haven’t tried it yet, it’s not too late! Periscope is a video platform that lets you create a video recording of yourself while your audience drops their comments as you do so. 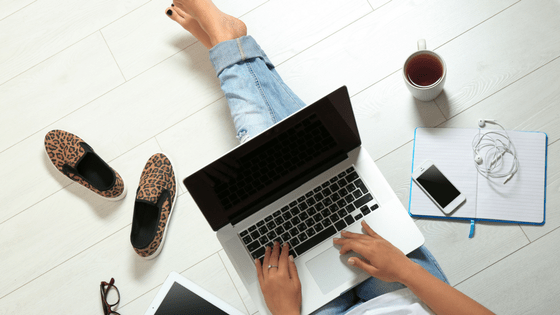 It is the coolest way that bloggers can connect to their audience. The days of using just pictures will soon be over. What I really find great about Periscope is that in addition to reaching your viewers live, it gives bloggers a better platform to share their content. Not everybody likes reading a post – a good number of people prefer watching them. So next time you publish a post, do a Periscope on it. You don’t need a scriptwriter because your post serves as the script. Don’t just read your post word for word as we’re not in kindergarten and it will bore your audience out of their mind. Just share parts of it that will hook them, and have a conversation about it. Also encourage them to comment when they read your post. The whole essence of doing a Periscope is to get readers to read your blog post. Also try doing a Periscope on older content. I schedule my posts using Hootsuite, but there are a lot of programs you can use. Alternatively, you can do this manually. You can add images to the post you share on Twitter and Facebook, but this is optional. Tweets containing images tend to go viral. Be sure to use the right size for your image, keeping in mind different sites use different sizes. Publish your post multiple times on Twitter. It is easy for readers to miss your posts on Twitter because Twitter feeds move pretty fast. The best solution to this little problem is sharing your post several times. Scheduling programs will be of great help here. They allow you to schedule your post once every 3 or 6 months, which help ensure your readers don’t miss a thing. If you are lucky enough to have readers drop comments to ask questions, then you must make time to respond to them. Doing so helps you grow your online community, increase reader engagement and build relationships. These statistics help you track the progress of your posts. It lets you see the level of engagement your posts attain. If you are consistent, you might spot patterns and therefore figure out topics that are really popular – topics your readers will fall in love with. You can then develop an editorial calendar that rocks! I know this was a lot of information to digest. That is why I created the 13 Action Blog Post Checklist. 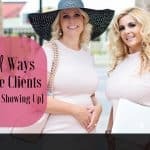 Click the Resource Library to access and download it so you don’t forget any of the steps in this awesome post! HOW ARE YOUR POSTS STACKING UP? WHICH ONE OR MORE OF THESE ACTIONS DO YOU FEEL WILL HELP YOU THE MOST? WE WOULD LOVE TO KNOW, SO PLEASE SHARE YOUR ANSWERS IN THE COMMENTS SECTION. LET’S HAVE A DIVINE CHAT! Amazing tips. Publishing post shouldn’t be our final task and we should promote our articles for instant traffic. Thanks for putting this piece of content. Thank you for sharing your tips to a successful blog post. You definitely practice what you preach because this post was clearly outlined, to the point, and easy to read. I liked the layout and colors too. Great tips, a lot of people don’t think about their image names, alt text, etc. It is super important for SEO. Periscope is new to me. I will sure try out. And of course, very useful article.